THE OLDER AMERICANS ACT (OAA) has been the primary piece of federal legislation supporting social and nutrition services to Americans age 60 and older since 1965. 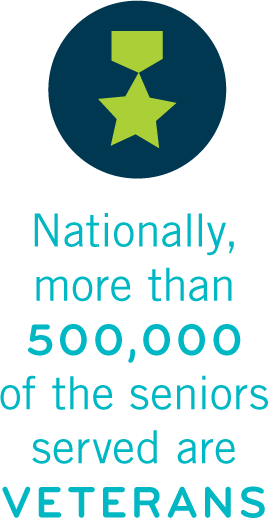 OAA programs are vital for seniors who are at significant risk of hunger, isolation and of losing their ability to live independently. Title III of the OAA establishes a grant system to fund programs that address the unique needs of vulnerable seniors. Funding for OAA programs is provided through the Department of Labor, Health and Human Services, Education, and Related Agencies (Labor-HHS-Education) annual appropriations bill, and dollars are allocated to states based on a formula. Since FY 2010, federal OAA Appropriations to Texas’s nutrition programs have fallen while the need is escalating at an unprecedented pace. Nutrutious meals to a senior for an entire year FOR LESS THAN $1,135. THE OAA covers 43% of that cost. Programs rely on contributions from state, local, private donations and other resources to cover the rest.